Some in the news media call this RARE book, "the most dangerous book every published." 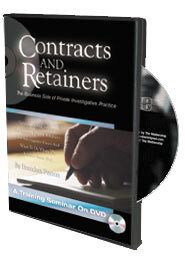 Lee Lapin, author, is at it again and presents the latest and greatest intelligence and surveillance techniques, equipment and tricks of the trade, taken directly from the files of the world’s top agents, engineers, investigators, trackers, tricksters, cons, cops, and cool people. 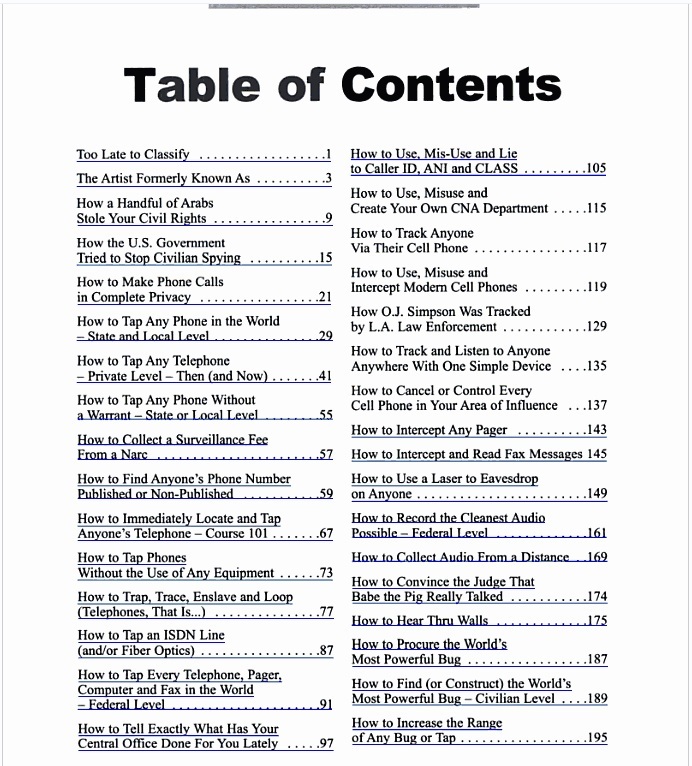 The world's only hands-on guide to electronic, surveillance, people tracking and asset discovery. How to do it, how to protect yourself from those who would. These little know secrets are used by all major intelligence agencies, now available to the public. People tracking to computer violating. The best of the worst. Or, perhaps the worst of the best. How to track, trace, and investigate anyone, anywhere, anytime. Uncover hidden assets and agendas, build a dossier, put together anyone's background. 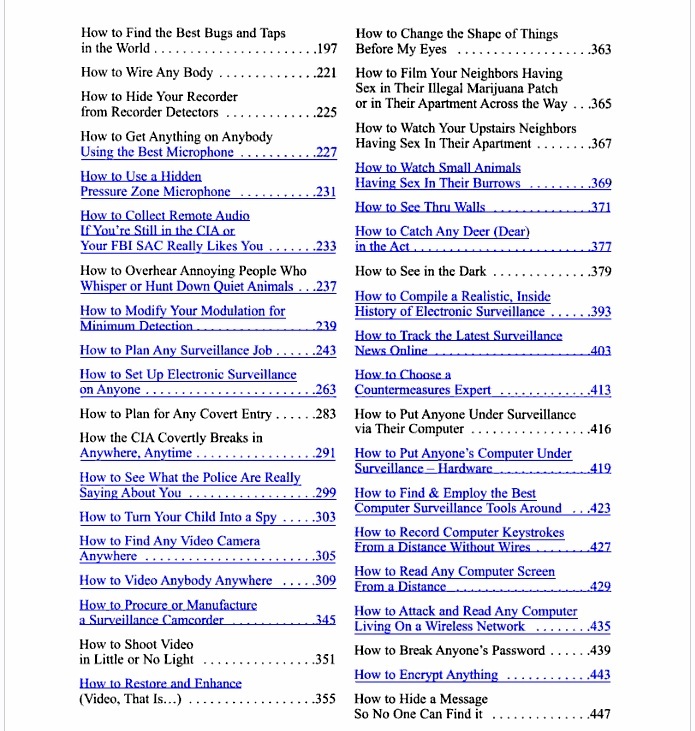 HOW TO GET ANYTHING ON ANYBODY BOOK 3 teaches you the inside secrets of surveillance, people tracking, asset discovery, electronic and physical surveillance. Let the world's top experts, including the FBI and the KGB teach you hands-on surveillance, people tracking, asset location and rock turning. Nothing else like it on the planet. 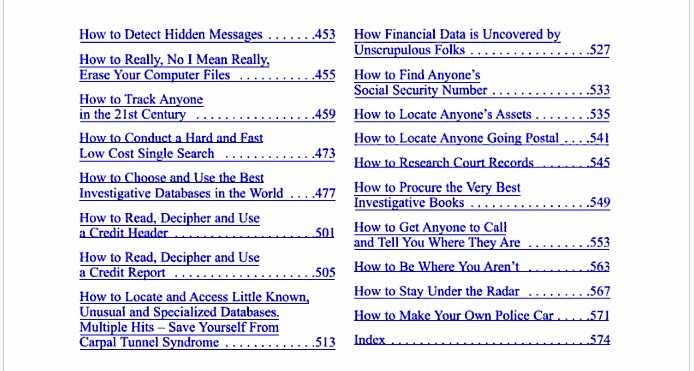 In 86 incredible chapters, Lapin shows how to track anyone in the 21st century; access the best, the most unusual and the most specialized investigative databases in the world; locate anyone’s assets; get anyone to call you and reveal their location; record computer keystrokes from a distance; hide a message so nobody can find it; break any computer password; put anyone under surveillance via their computer; find modern bugs and taps; hear or see through walls; tap phones without equipment; track anyone via their cell phone; make phone calls in complete privacy; set up the best video surveillance system; shoot video in little or no light; wire a body for surreptitious recording; use a laser to eavesdrop on anyone . . . plus hundreds of other secrets of today’s espionage, intelligence and investigative professionals. 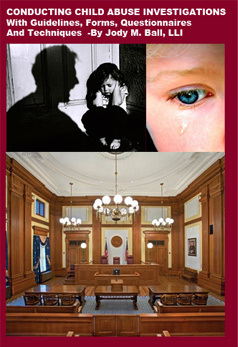 However, it is important to note that some of these methods and techniques can be conducted by law enforcement only and some are illegal in some countries. 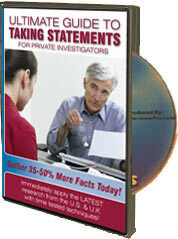 This RARE hard to find 580 page book is now offered for sale by the INTERNATIONAL PRIVATE INVESTIGATORS UNION, celebrating it's 21st year since 1989 serving over 40,000 private investigator members, trainees, licensed attorneys, and law enforcement professionals. PROTECT YOUR ORDER by adding insurance in case your item is lost or stolen. Just add a custom note in your order form to authorize an additional charge to cover the insurance fee. Otherwise, we will ship with no insurance but will include standard Delivery Confirmation. IPIU is an Accredited Member of the Better Business Bureau.